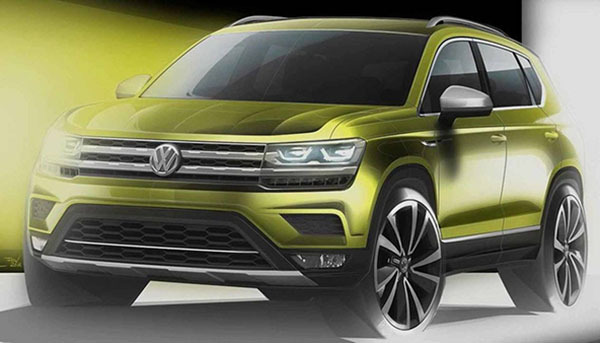 VW is getting yet another SUV/Crossover ready. While were are not getting the cool T-Roc, we will be getting this new T-Cross. I guess it does look like a small Atlas, so they figure this would work better for the US and China. The two markets that are currently getting the Atlas. It also re-enforce the idea that VW things the US market and China are the same. They are selling us the same "more boring" stuff. Keeping they more interesting models in Europe. The issue at stake is that Americans still love buying “boring vehicles” because they think it’s easy to fix and retain value of the years. Think of the bland Corolla, RAV4, etc. VW has two joint ventures in China, FAW produces the European models which are more upscale. Its Joint Venture with SAIC produces the cheaper versions. The US market gets the SVW(SAIC) models, developed for a lower price point. For example the US/China Passat is build on the Golf platform to save cost. VW solved its problem of the lower sales price points in the US by selling cars developed for the cost conscious Chinese customer segment. Both markets appreciate larger vehicles and as VW builds millions of cars in China, a couple thousand for the US can be done very efficiently now. It looks like a SWB Tiguan. Which raises the question, “Why not just sell us the SWB Tiguan?” It has to be cheaper for VW to build it here than to develop an entirely new vehicle. Seriously, who’s running the VW store??? As it appears (and is reported from Europe), this will be just a Seat Ateca with a VW grille grafted on it.